DOES NOT INCLUDE: Little Midland play area, tables or chairs. Beautiful indoor studio for those cold & rainy months! Backdrops, furniture and strobe available for use with rental. Certain items or props may incur an additional charge. Minimum rental time is 2 hours, with discounts on longer times. All renters must first go through an application and acceptance process. Subject to damage deposit. Required to leave a credit card on file. Work in a creative environment with others. 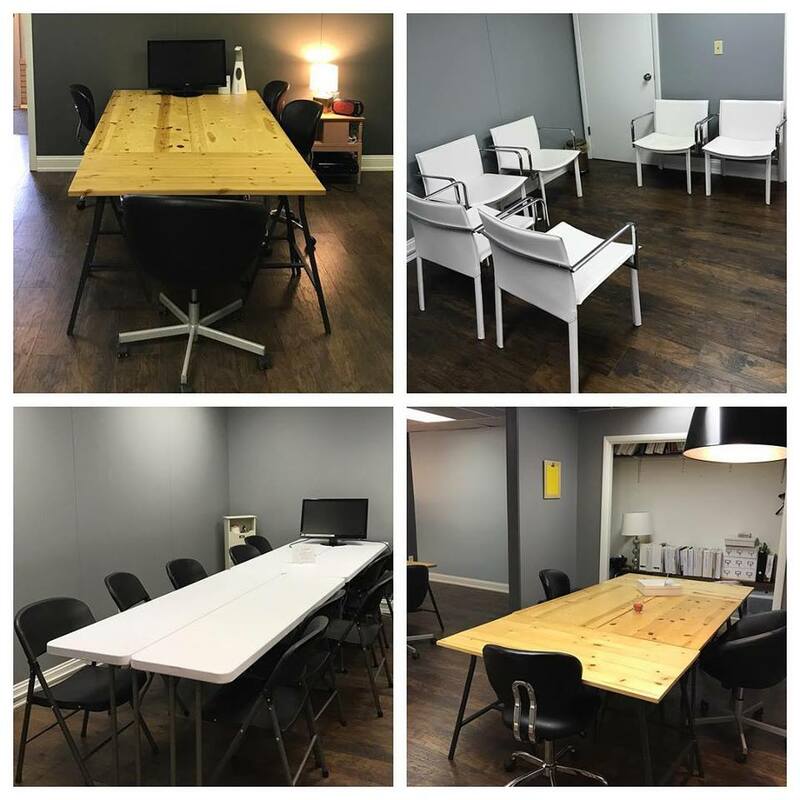 Includes internet, whiteboards, projector use, and signage for your meeting. Baristas at Live Oak have keys during regular hours. We hold game night at incuba8LABS and have swing dancing upstairs The Ashman Loft (711 Ashman St. Midland, MI). Lessons included. Bring a friend! Stuck, need inspiration, or want feedback? Join a community of people actively working on bringing their vision & businesses to life every Wednesday. Ideation -the formation of concepts or ideas. Want personalized & focused coaching? Need to get unstuck or map out your next steps? Reserve an hour with Caryn. Coaching days have a $50/hr discounted rate every Thurs (Reg is $125/hr). Perfect for daylight photography or small meetings. Located upstairs. No wheelchair accessibility. Rental does not include tables or chairs.